Loue Gite Haut-gamme with SPA for 8 to 10 people in an exceptional environment, in front of the Massif du Néouvielle classified World Heritage of UNESCO. 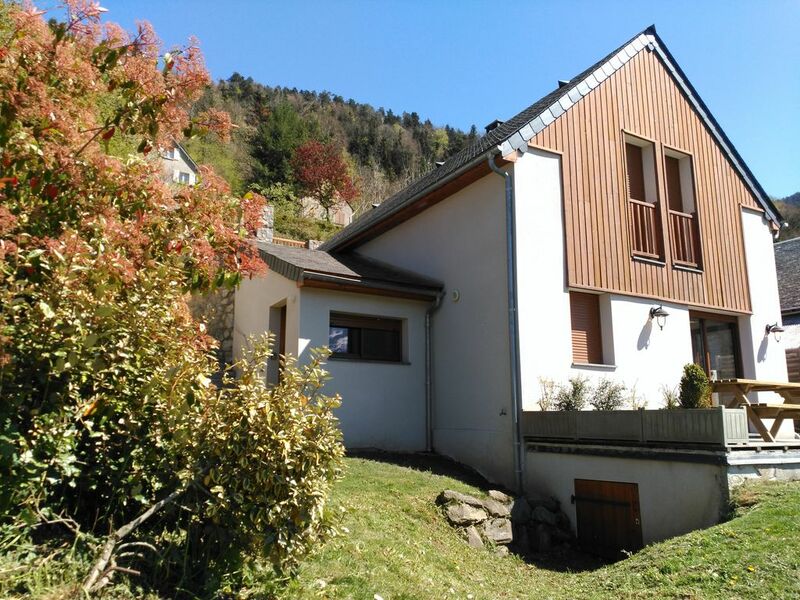 Located 3 kms from the famous thermal and ski resort of SAINT-LARY SOULAN, this old sheepfold is located at the end of the village of Camparan the sunniest of the Aure valley, in a quiet and at the start of a path hiking. Facing south, the cottage has large volumes combining stone and wood as well as a refined contemporary decoration. Its services: wellness area with spa and outdoor terrace overlooking the valley, open fireplace, 1 large screen HD TV in the living room with home cinema, equipped kitchen (dishwasher, pyrolysis ovens and microwave, fridge-freezer, raclette and fondue), 4 bedrooms with double beds, two master suites with a bathroom, TV with DVD player, WIFI internet access, pantry with washing machine and dryer, private ski room, baby chair, bath and cot available. 2 outdoor terraces facing south and west, 3 shower rooms, barbecue, private car park, panoramic view of the Aure valley ... all the comfort of a Haut de Gamme cottage in a quiet and natural setting. Possibility to rent in short stay or weekend.